(Pig Exploitation - Factory Farming - 35) This is a photo of a "sea" of misery which seems to go on forever. 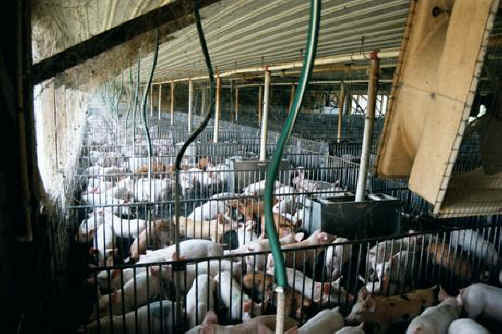 In this building there is no mercy, no compassion, and no comfort for these pigs. Isn't it time that human beings begin to have some compassion for other living souls, and show some mercy by not eating them? We believe it is!